JobSog is one of the outstanding international job consultants that has been in existence for more than a decade. JobSog has a strong client base across the globe. Although we introduce ourselves as premier international job consultants, we also take care of the resume services, as in we develop international resumes and shoot it across local recruiting agencies or job consultants. While there are many such companies that claim they would find international opportunities for you, why choose JobSog? Jobsog provides expert international resume writing service. It is known that without a proper resume you can't really make any impact. Also, different countries have different resume formats. Only an international resume expert would know about these requirements. JobSog has a team of expert resume writers who would build your resume. 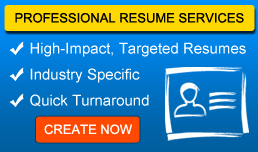 Resume optimization is another important step in attracting the attention of recruiters. Your resume content should contain specific key phrases that must put your resumes above all when it comes to searching for employees on internet or specific search engines on job portals. One unique service that JobSog offers is-spider webbing. It would simply mean shooting your resumes to noted recruiting job consultancies in different countries. As recruiters in some countries such as middle east usually approach job consultancies to hire candidates, you would definitely have an edge over others if you are associated with JobSog. Also, a case officer is allotted the moment you register yourself with Jobsog.com. This would enable clients to directly deal with their respective case officers regarding any doubts, updates or status. Those who avail post-landing services would be helped with finding jobs, shifting of different tools from your country to the country that you are shifting. We even offer currency exchange service.